Women make up just 7% of the workforce in security across Europe. Across the globe, only the Middle East has less than that as a region. The greatest gender split is in North America, however, that only stands at 14%. 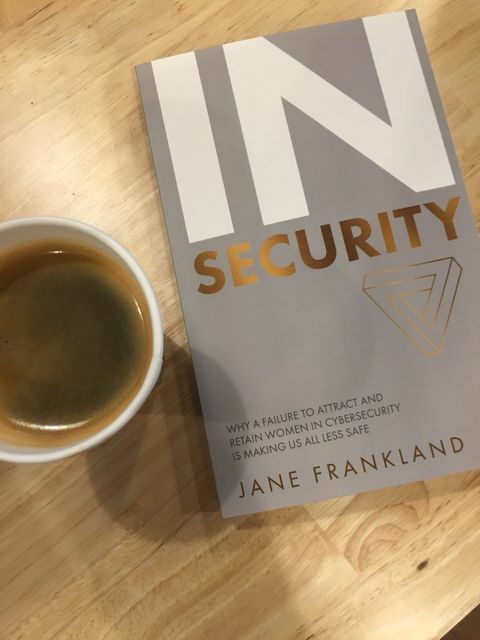 On March 8th, coincidentally, International Womens Day, I had the pleasure of attending the book launch of IN Security by Jane Frankland, an award-winning cyber security entrepreneur, consultant, speaker, market influencer and author. The book looks to highlight and address the failure to attract and retain women in cyber security and its impact on other female professionals in this space. Why is the lack of women in security so important? According to Jane women are an important asset to the world of cyber security because of the different way in which, it has been recorded, they view and deal with risk. According to some studies, in the most part, women are more risk averse than men. This should matter to all of us. Research shows that women are also naturally more intuitive. They are reportedly better at assessing odds, and this often manifests itself as an increased avoidance of risk. Social and emotional intelligence are key attributes and skills of any cyber security professional dealing with security breaches and major incidents often under a high degree of pressure. Calmness is key! Equality is so important and having a complimentary workforce of evenly talented males and females is the absolute route to success. We need to have visible female role models right across the industry - Seeing women in leadership roles can encourage progression through the ranks. Make young girls and women feel like they belong, need to be able to present shared values. Work on your office environment - create a neutral environment where everyone can feel safe and inspired. Further education, needs to be redesigned to engage, attract and retain emerging talent and bright sparks. Jane suggests gamification is one area which could attract young females getting in to tech. Contributions from guest speakers last night, notably Emma Smith, Security Director at Vodafone and Helen Rabe, CISO at CBRE were extremely insightful. Both of whom shared their experiences as female cyber security professionals and the progress they are making in their businesses to address these challenges. Emma mentioned that she has taken the amount of women in her group team from 9% to 31% over the last 4 years, which is amazing. As a recruitment professional my role has to be one of raising awareness to these issues, the impact on my customer base and how taking a steer from senior female professionals like Jane Frankland, Emma Smith and Helen Rabe, on the steps we can take immediately to address the issues is the way forward. After all, this goes beyond companies, profits and championing diversity, there is a real world impact on public welfare. As a side note, according to the World Economic Forum, economic gender parity could add an extra 250 billion annually to the GDP in the UK.